Fashion In The Forest: Who are you, really? I stumbled upon a personality quiz from Untypically Jia (and am apparently of the same personality type as she) and honestly, it's right on the money. I know sometimes people, including myself, don't want to admit certain facets about themselves. 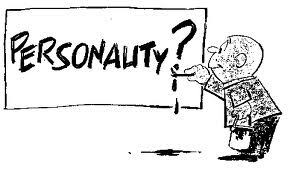 It's a hard lesson to learn when you're cast as "so-and-so personality", and they're actually right about it. I am apparently an ISFJ (Introverted Sensing Feeling Judging). Interestingly enough, I've tried on around eight of those above mentioned jobs before. So....what's your personality type?